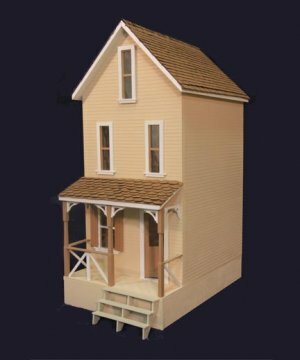 From Majestic Mansions comes the Clarksville dollhouse kit. 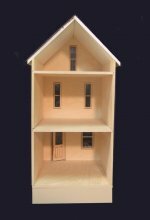 A compact house, it has three rooms, one on each floor. The front porch provides an opportunity to create a homey, welcoming outdoor scene. 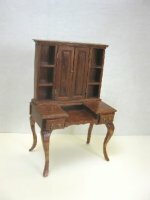 Finished house measures 13 1/4" wide x 18" deep x 28 1/4" tall. Kit weight is 16 pounds. Made in the U.S.A.
Because of extra weight, regular postage rates do not apply. I will determine postage after you order and let you know the total before completing the order.